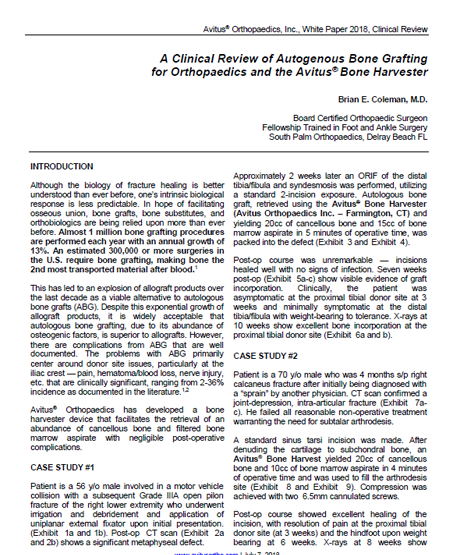 Read: A Clinical Review of Autogenous Bone Grafting for Orthopaedics and the Avitus Bone Harvester by Dr. Brian E. Coleman, MD. Avitus had a successful AOFAS in Boston this week! 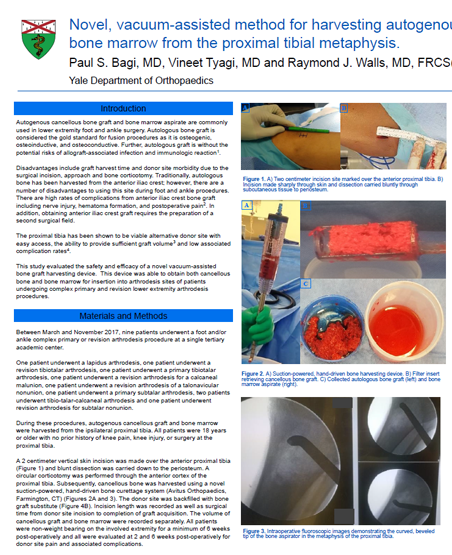 Check out this ePoster featured at the conference. Credit: Bagi, P., Tyagi, V., Walls, R.